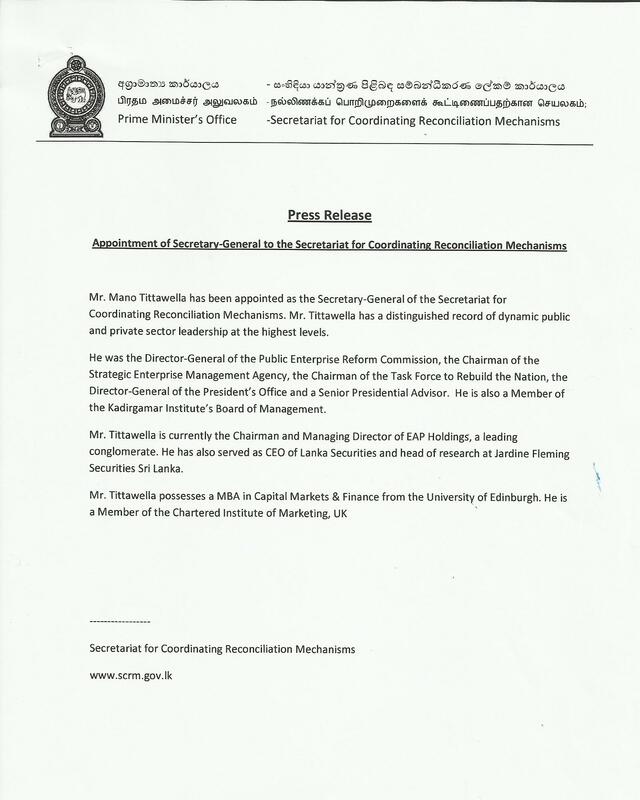 Mr. Mano Tittawella has been appointed as the Secretary-General of the Secretariat for Coordinating Reconciliation Mechanisms. 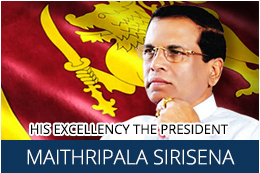 Mr. Tittawella has a distinguished record of dynamic public and private sector leadership at the highest levels. He was the Director-General of the Public Enterprise Reform Commission, the Chairman of the Strategic Enterprise Management Agency, the Chairman of the Task Force to Rebuild the Nation, the Director-General of the President’s Office and a Senior Presidential Advisor. 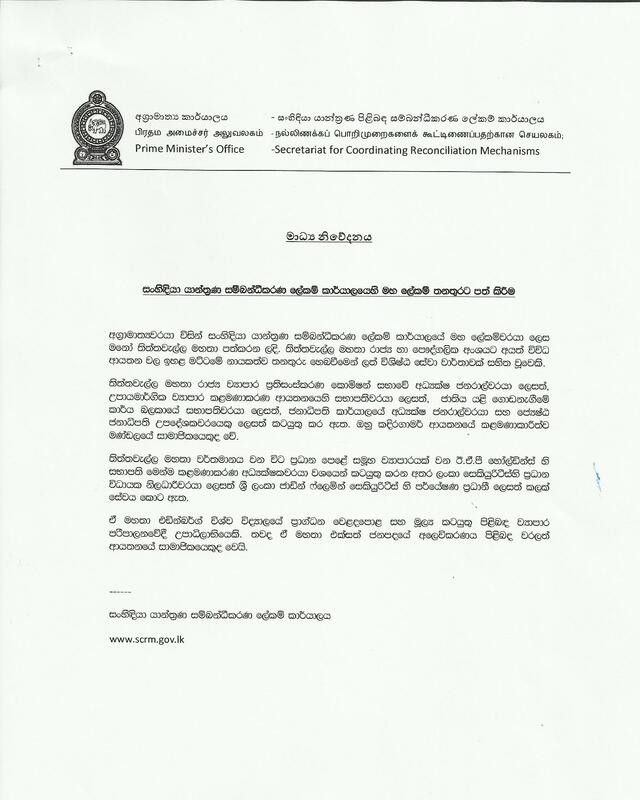 He is also a Member of the Kadiragamar Institute’s Board of Management. 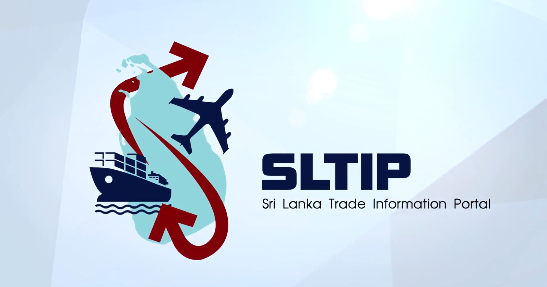 Mr. Tittawella is currently the Chairman and Managing Director of EAP Holdings, a leading conglomerate. He has also served as CEO of Lanka Securities and head of research at Jardine Fleming Securities Sri Lanka. Mr. Titawella possesses a MBA Capital Markets & Finance from the University of Edinburgh. He is a Member of the Charted Institute of Marketing, UK.